If you have experienced (because just watched is not the right word) the films of David Lynch, you have probably been puzzled about what is really going on; why people appear and disappear, switch identities, or do weird things. Even the timelines don’t go in any direction that is easy to understand. So here are some of the common questions that you might have after watching the 10 mysterious Lynch films, and their possible answers. Question: What is it all about? Before going into cinema, Lynch was an artist. The reason he started making films was because he lacked sound and movement in his paintings and he really wanted to animate them. This is why his first short films are animations, sometimes combined with live action. 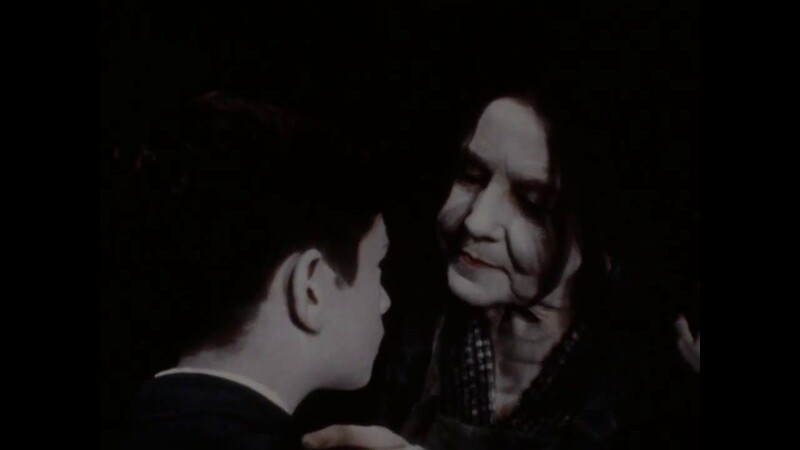 “The Grandmother” is his third short and is one of his strangest movies. The difficulty of understanding what is going on comes from the alternation of animation and live action and the sounds, which do not contain human speech. The parents bark as dogs, the grandmother whistles, and the boy himself makes almost no sound. The story is about a boy who suffers from his abusive parents and one day hears some noise from a sack of seeds. He takes out a seed and plants it on a bed. After carefully watering the seed for a while, it brings his loving grandmother to life. Question: What is the baby? 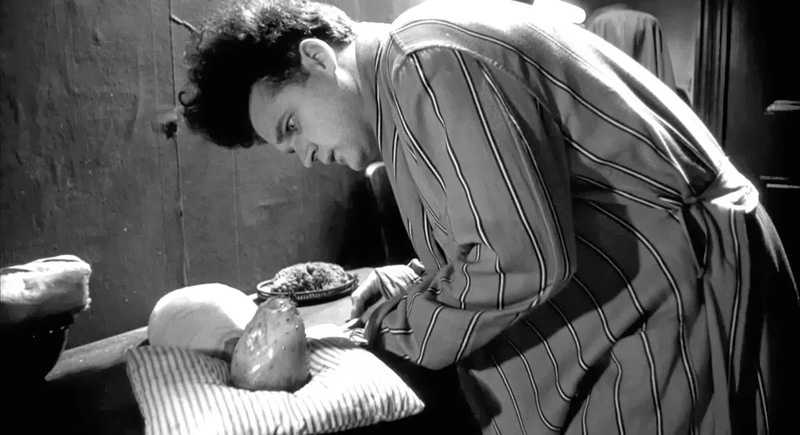 The horror of being part of a family continues with Lynch’s first feature film “Eraserhead.” The film was made during times of financial struggle for Lynch after he had recently become a father to his first daughter, Jennifer. The story revolves around Henry, a man who lives in a gloomy industrial area. He has a girlfriend named Mary and is in love with his neighbor, “the beautiful girl across the hall.” After a character, credited as “the Man in the Planet,” pulls some levers, he is control of a sperm-like creature that comes out of Henry’s mouth and falls in a puddle. This leads to Mary giving birth to a snake-looking baby. Henry and Mary take care of the monstrous baby, but its constant crying makes Mary leave. Then it starts acting nasty and prevents Henry from having any joy in his life. In the meantime, a character called the Lady from the Radiator appears and she seems to be bringing happiness and comfort for our protagonist. On the other hand, the Man in the Planet keeps interfering with Henry’s life, creating more trouble for him. Henry ends up killing the baby and uniting with the Lady from the Radiator. There are a couple of visual clues that Lynch had left that guide us along with finding the meaning. The Man in the Planet stands for Henry’s unconscious drives that are ruining his attempts of having something better in his life. One of the important clues is the window in Henry’s room. When we see it in the beginning of the film, it is looking toward a brick wall. Before the third act of the film, in which Henry kills the baby, suddenly the bricks are gone and he can look through the window. When Henry gets his clear vision, he gets the power to kill the baby and the planet, which hosts the Man in the Planet, explodes. Even though Lynch has not confirmed any fan theory, it seems he agrees that the film is about conquering and overcoming your fears. The baby can represent the fear of fatherhood, but also any fear and inability to face your demons. Question: Where does the dark side lay? “Blue Velvet” is a wicked coming-of-age story full with violence and perversions. The film starts with a glimpse of the life of the ordinary people in a small American town, where everything looks peaceful and innocent, before the camera goes underground and show us the cockroaches and other insects crawling underneath. Once again we have a family story, but this time it is really twisted. The main character Jeffrey comes home from college, after his father suffers a stroke. On his first day home, he finds a cut-off ear. He brings it to the police, but also starts his own investigation about the accident. While his father is sick and his mother pays almost no interest in him, young Jeffrey gets involved with the people from the dark side of the town. Like most of Lynch’s films, this one is influenced by the “The Wizard of Oz.” The main female character is named Dorothy and she wears red shoes. Dorothy and her abuser Frank become some kind of surrogate family to Jeffrey, but an Oedipal one. He sleeps with his mother (Dorothy) and kills his father (Frank) and then goes back to the normal suburban life with his girlfriend Sandy. There are a lot of color clues to the personality of the characters. For instance, Sandy dresses in pink and she is shown to be innocent and sweet. Dorothy, on the other hand, dresses in red and blue velvet and is a symbol of passion, but also the unconscious sexual desires. Jeffrey is wearing black and white as he is good, but at the same time he has his dark side. Question: Who killed Laura Palmer? Laura Palmer has become one of the most cult characters on TV. One morning, she is found murdered and wrapped in plastic; the town police call the FBI and special agent Dale Cooper comes to town. When his investigation starts, it sheds light on the secrets of the residents. Everyone is guilty of something – drug dealing, adultery, and even murder. 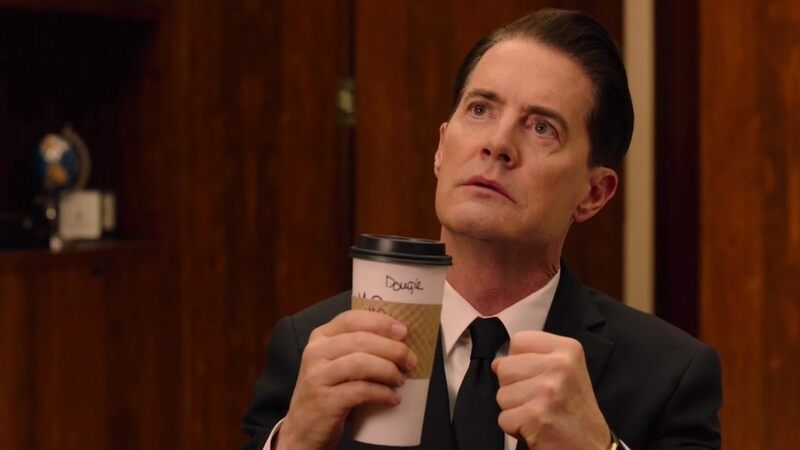 Some extra-dimensional forces start to appear to Agent Cooper, making things even more complicated. It’s not until the next season that we learn that Laura’s own father committed the murder, being possessed by an evil spirit called Bob. When Lynch started the series, he had no intention of having Bob as a character. At some point during the shooting, he sees actor Frank Silva, who is currently working as a staff member. Lynch finds him terrifying and decides to cast him as Bob. 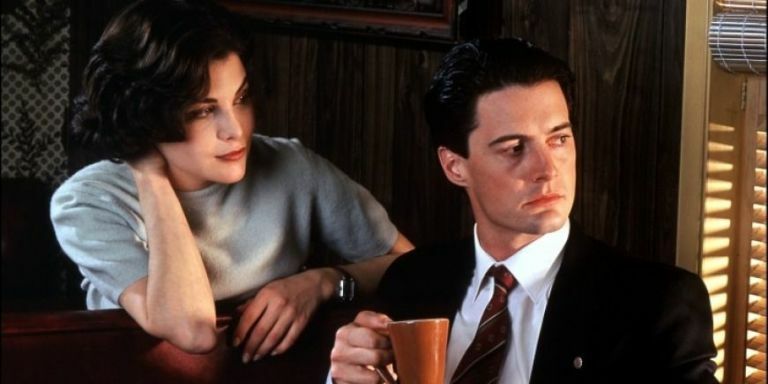 The original idea from Lynch about the series is to never reveal who the killer of Laura Palmer is. His producers, however, thought otherwise and insisted on solving the mystery. The catching of Leland Palmer happens in the middle of the second season, but then another villain shows up. Cooper’s previous FBI partner Windom Earle comes to Twin Peaks with a vicious mission. He wants to go to a place called the Black Lodge, where evil spirits reside. 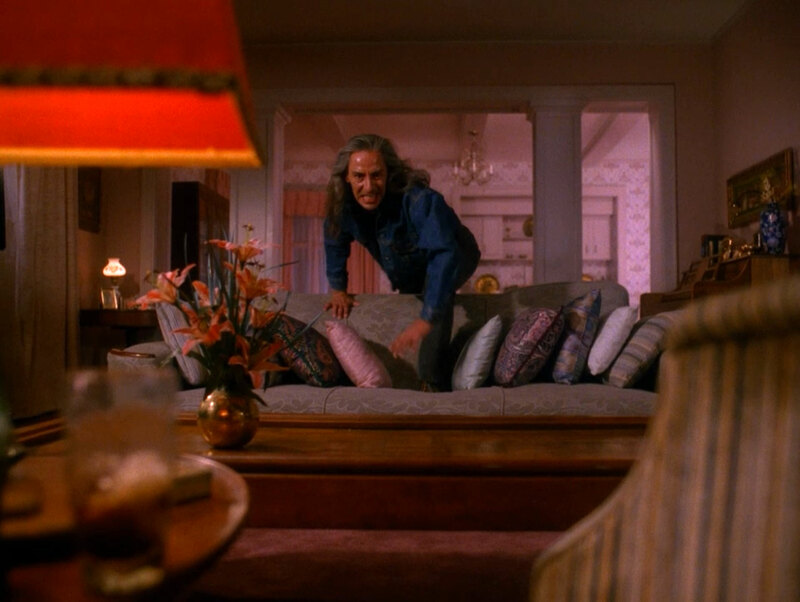 He also plans tricking Cooper into entering the Black Lodge as well to will trap him there. Earle kidnaps Cooper’s new girlfriend Annie, who has just won a local beauty contest and takes her into the woods to the Black Lodge entrance. Agent Cooper follows him and goes into the Lodge as well. The Lodge is the same room with red curtains that he has seen in his dreams. After a few magical things happen, he is out with Annie – but is he? Both Cooper and Annie appear out of the Lodge in very poor condition. We no longer see Annie, but after some rest, Cooper wakes up asking about her, acting strange. In “Final Dossier,” Agent Tammy Preston reveals the fate of Annie after exiting the Black Lodge. She had developed a psychiatric condition and refuses to talk or communicate. The only thing she ever says, every year on the exact same day and hour after the incident, she repeats the words “I am fine” as an answer to Cooper’s question.